The Stillwater Community Band was reformed in the summer of 1992 (the original Stillwater Band was formed on July 4, 1906), giving free concerts for the enjoyment of the players and community. 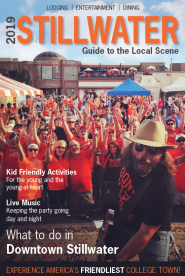 The spirited music has been enjoyed by young and old alike and its popularity continues, with over 90 musicians from all walks of life coming together to bring music to Stillwater in the summers. Join in celebrating their 20th concert season!